Coming from Seattle, it’s amazing how much I took their outdoor shopping malls for granted. I remember spending hours at various outdoor malls because you could get everything you needed without feeling like you went to a physical mall. So when I stumbled upon CF Shops at Don Mills two years ago, it was a complete joy to find a little slice of the west-coast in Toronto. I love that I can enjoy the outdoors while shopping at my favorite retailers, take some time out and indulge in fine-dinning at one of their restaurants, stop by on a weekend and participate in one of their many activities they offer in their town square and my favorite….ample parking! 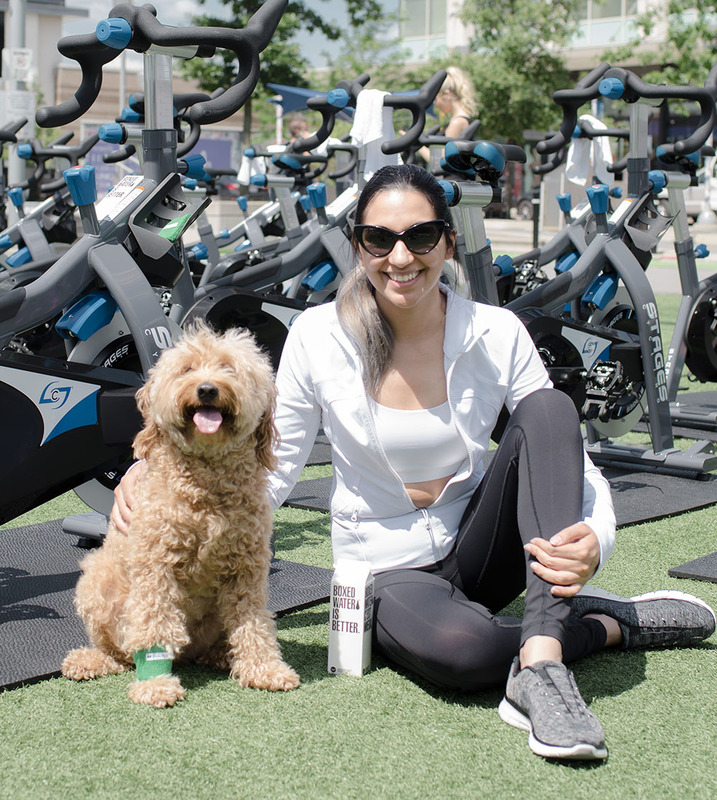 This summer, CF Shops at Don Mills in parternship with the ROSEDALE Club, are offering group cycle and yoga classes to help their visitors get out of hibernation and back into shape. Last month, my doctor gave me the green light in going back to the gym. For the last couple of days I have been struggling to loose the last few pounds (10 lbs so to speak) so this experience was exactly what I need to help me burn fast and boost my energy. Plus it didn’t take me long to work up a sweat that I was grateful the class was held outdoors so I could feel the breeze against my skin to help me cool down while I burned calories fast! 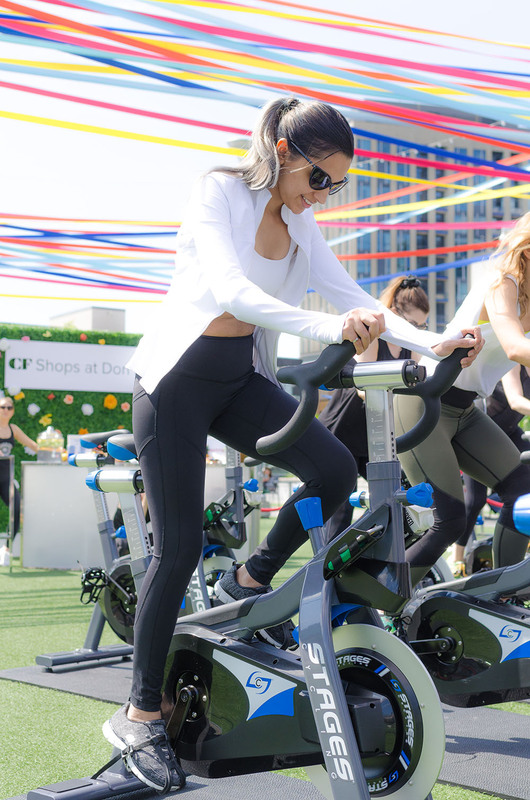 The spin cycle was a perfect way for me to get outdoors and workout and I definitely encourage you to take advantage of it while they are offering it. I mean where else will you find a group cycle class. If cycling is not your thing, you can always stop by for yoga instead. I know I am going to do that this weekend after some retail therapy at a few cute boutique I found for my twins! The dog is so so cute too. It looks so nice and perfect for body and mind! I hope you had a great time! Such a lovely post!! Your dog looks so adorable! Thanks for sharing! Sounds like a great mall and a fun event! I’ve never partook in a cycling class before, but they seem to be quite popular these days. Perhaps I’ll give it a try once I hit the gym again! Thanks for sharing, girl, and I hope you have a great week! Looks like a great event! And how cute is that pup? !